Kratom is back in the headlines again. Last year it was linked to a nationwide salmonella outbreak. Now, this over-the-counter herbal drub has been tied to almost 100 overdose deaths nationwide. The CDC is reporting that Kratom was the cause of death for 91 fatal overdoes. Now while that may not sound like a huge number, these deaths happened over an 18-month time period. And those numbers are more than double the FDA’s estimate of 44 kratom linked deaths since 2011. 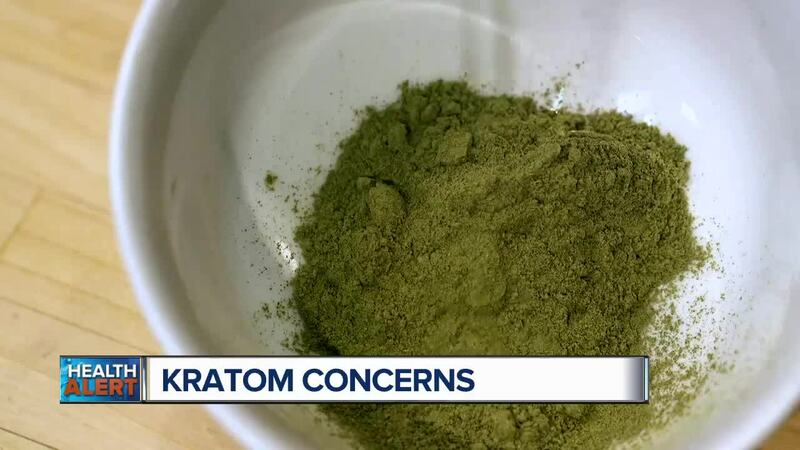 (WXYZ) — Kratom is back in the headlines again. Last year it was linked to a nationwide salmonella outbreak. Now, this over-the-counter herbal drub has been tied to almost 100 overdose deaths nationwide. The CDC is reporting that Kratom was the cause of death for 91 fatal overdoes. Now while that may not sound like a huge number, these deaths happened over an 18-month time period. And those numbers are more than double the FDA’s estimate of 44 kratom linked deaths since 2011. On top of that, what’s very worrying is that Kratom use is on the rise. While Kratom is being marketed to help people overcome opioid addiction, it’s also touted to help ease pain and anxiety. Since Kratom is a natural plant, lots of folks see it as harmless. But it contains mitragynine. And when taken in low doses it can produce stimulant effects. In higher doses, it has opioid-like euphoric effects because it’s affecting the same opioid brain receptors as morphine. And that means there is potential for addiction and abuse. If you have chronic pain, a pain specialist can help. They will diagnose your pain and create a treatment plan. If you have anxiety, see your doctor who will look for underlying medical conditions. Treatment may include psychotherapy and approved medication. When it comes to both pain and anxiety, your lifestyle is key. A positive attitude along with reducing stress, getting enough sleep and exercising can all make a huge difference. If you’re using Kratom or considering it, please know the impact it can have on your health. Too much can cause agitation, a fast heart rate, high blood pressure, and seizures. And an overdose can actually stop a person from breathing, lead to coma and kidney failure. On the next all-new Dr. Nandi Show, Dr. Partha Nandi, MD and his expert guests unlock the mystery surrounding the thyroid. Nationwide, thyroid problems are often overlooked or misdiagnosed. And this small butterfly-shaped gland plays a crucial role in the functioning of our entire body. Expert guest Dr. Amy Myers shares how having a thyroid disorder affected her life and how she’s helping women with similar issues. Plus, author Rock Robbins reveals the harrowing story of his wife’s journey with thyroid disease and the impact it had on their marriage. Tune in this Saturday, April 13th at 1 pm.